Welcome to the Belvedere Football Club Homepage. 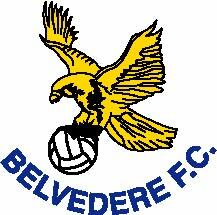 This web site will be of interest to current and past members of Belvedere F.C. and to anybody who might follow the fortunes of underage football in the Republic of Ireland. For further information e-mail us. The Belvedere F.C. super fundraising draw for two Premium Level Tickets for all Republic of Ireland home soccer matches at the new AVIVA Stadium Landsdowne Road for one year and cash prizes was held in Smyths of Fairview on July 11th 2010. Congratulations to all the winners and sincere thanks to all who supported the draw. 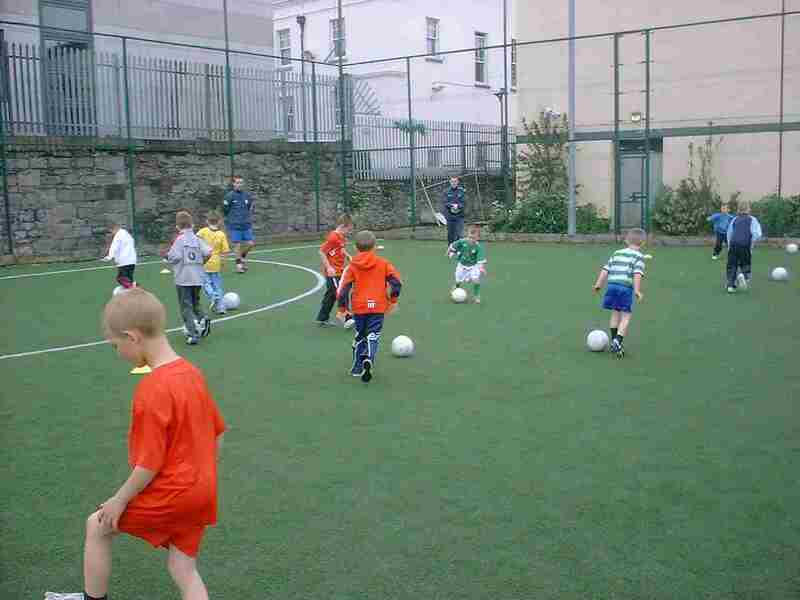 Trials for the new season 2010/11 will take place as follows: Under 8s, 9s, 10s, 11s, 12s, 13s, 14s at Fairview Park on Saturday July 3rd at 11am and Saturday July 10th at 11am. Under 15s & 17s at Fairview Park on Sunday 4th July at 11am and Sunday 11th July at 11am. Enquiries to Philip Manly 086 6068588. Trials for Under 16s will be at Phoenix Park on Thursday July 1st at 6.45pm and Saturday July 3rd at 11am. Enquiries to John Moore 087 2695797. With both Belvedere and WFTA finishing level on points at the top of the DDSL Under 17 Premier League table the destiny of the title would be decided by a play off match. In a closely fought encounter played at the AUL Complex on Sunday 20th June, Belvedere emerged as 2 - 1 winners thanks to goals from Sean Skelly and Kealan Dillon. This completed a remarkable treble for this Belvedere team who had also recently won the DDSL Under 17 PFAI Cup and the National FAI Under 17 Cup. On Sunday 6th June, Belvedere secured the DDSL Under 16 Premier League title when second placed Crumlin United lost to Home Farm. This completes a great treble for Belvedere Under 16's who also recently claimed the Paul McGrath Cup as well as winning the Galway Umbro Cup in August 2009. Needing the 3 points from their final match of the season on Saturday 29th May, Belvedere secured the DDSL Under 12 Major league title with a 2 - 0 home win over Lourdes Celtic at Fairview Park. Well done to all the players and coaches on gaining promotion to the Under 13 Premier division next season. 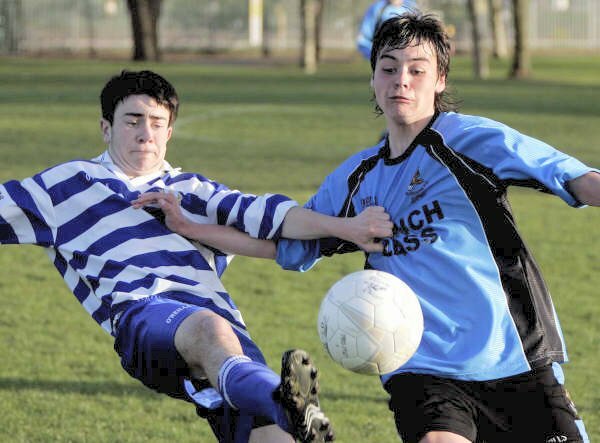 Congratulations to former Belvedere player Cillian Sheridan ( Celtic on loan to Saint Johnstone ) on gaining his first senior cap for the Republic of Ireland when he came on as a second half substitute in the friendly international with Paraguay on Tuesday May 25th May 2010 at the RDS, in Dublin. Cillian becomes the eight Belvedere player to be capped at senior international level for the Republic of Ireland. What a week its been for Belvedere Under 17's. Following their PFAI Cup success last weekend, they traveled to Cork to play Carrigaline United in the FAI Under 17 Cup Final at Turners Cross on Sunday 16th May and returned home with the cup. However, it took penalties to decide the result following a scoreless 120 minutes of play and extra time. Despite enjoying the better of the action Belvedere were unable to make the breakthrough and it fell to goalkeeper skipper Craig Sexton to save Carrigaline's eight penalty to ensure the the trophy was retained by Belvedere for the second year running. At Jackson Park in Kilternan on Saturday 15th May, Belvedere claimed the National SFAI Under 15 Evans Cup with a great 2 - 1 win over Cherry Orchard. Behind to a disputed offside goal early in the match, Belvedere didn't panic and kept to the task in hand, playing their usual brand of passing football. Despite some solid defending by Cherry Orchard, Belvedere's persistence was rewarded when Dermot Louthe equalised with 10 minutes left to play. Belvedere piled on the pressure and two minutes later, man of the match, Adam Evans fired home a low left footed shot and wrap up the tie. Belvedere claimed the first Under 17 PFAI Cup with a 4 - 3 win over Cherry Orchard at the AUL Complex on Sunday May 8th. Despite dominating for long periods and leading 2 - 0 late into the match thanks to Chris Forrestor and Anthony Corcoran, Belvedere conceded two late goals to send the match into extra time. Peter Flood then netted for Belvedere only for Cherry Orchard to equalise again within minutes. With time running out, Forrestor fired home his second and Belvedere's fourth goal. Three second half goals by Belvedere Under 16's proved enough for them to secure the Paul McGrath Cup at the AUL Complex on Sunday May 8th. The match was fairly even until Home Farm's 'keeper was dismissed for a red card and Graham Burke converted the penalty kick. Two more goals followed from Bobo Akunu and Daniel Mahon to wrap up the tie and secure the trophy for Belvedere. Lady Luck deserted Belvedere Under 14's as they lost 4 - 3 on penalties to Shamrock Rovers in the Harmon Cup Final on Saturday 7th May at the AUL Complex. Belvedere had the better of the chances and should have scored but the match ended scoreless after extra time. 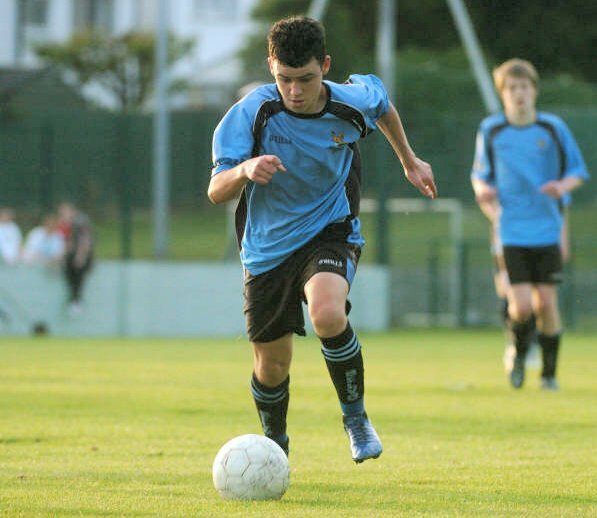 Congratulations to former Belvedere player Conor Powell who was voted PFAI Young Player of the Year 2009. Conor joined League of Ireland Premier side Bohemians from Belvedere in 2005 and soon progressed to the first team squad. Well done to Belvedere Under 16’s on winning the Under 17 Umbro Galway Cup with a 2 – 1 win over Galway Hibernians in the final on Saturday 8th August 2009. The tournament was held at Salthill Devon’s new complex at Drum from Wednesday 5th to Saturday 8th August 2009. Some very thoughtful and sincere words have been written in the newspapers, broadcasted on the television and radio and posted on websites over the last few days about the late Noel O'Reilly who sadly passed away on Friday 26th September 2008. But no doubt, the appreciation by Vincent Butler which appeared in the Irish Independent on Saturday 27th September will be hard to match. From the earliest days of his involvement in 1971, Noel O'Reilly made a massive contribution to the development and success of Belvedere Football Club as both a manager and coach before moving to the FAI in 1999 to work alongside Brian Kerr. Belvedere Chairman Fergus McCabe recalls some fond memories of Noel.